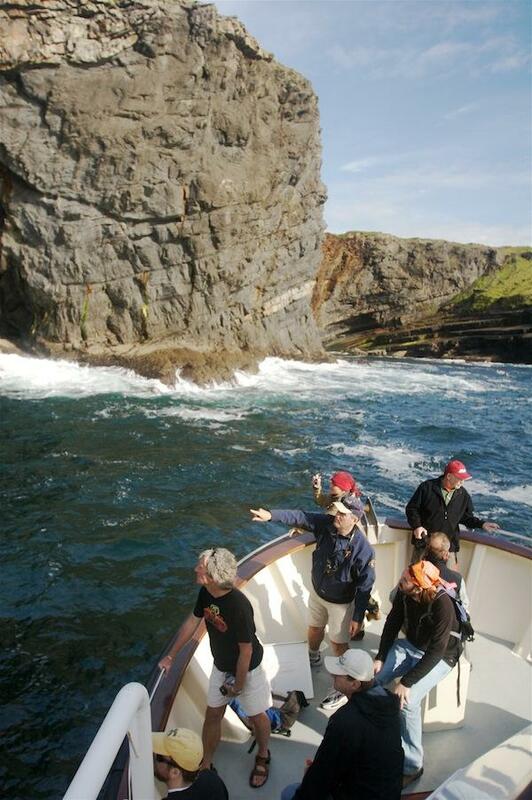 The Loop Head Peninsula & the shore of North Kerry is a world-famous destination for geological field trips. 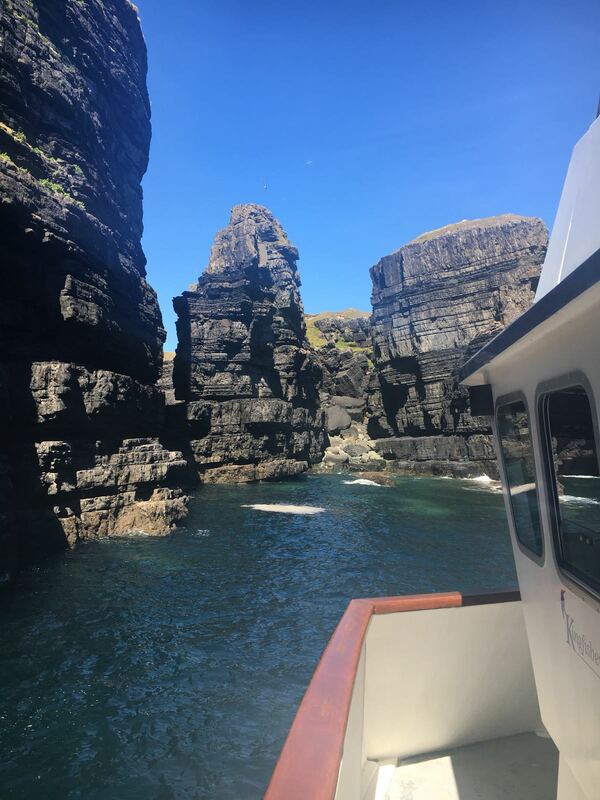 Seeing the Ross Sandstones, the Gull Island Formation and the Clare Shales by sea is the best way to appreciate their full story. 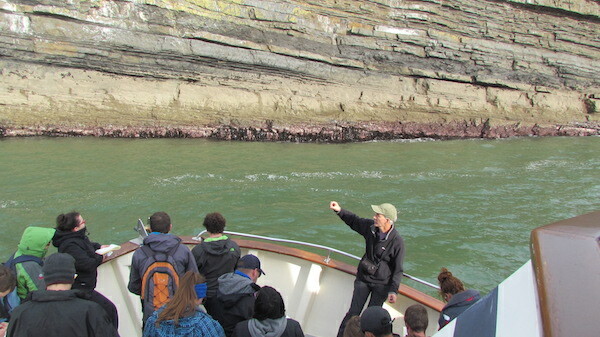 The cliff face exposures on the south-west and north sides of the peninsula trace the evolution of a large scale river delta during the Upper Carboniferous Period about 320 million years ago. 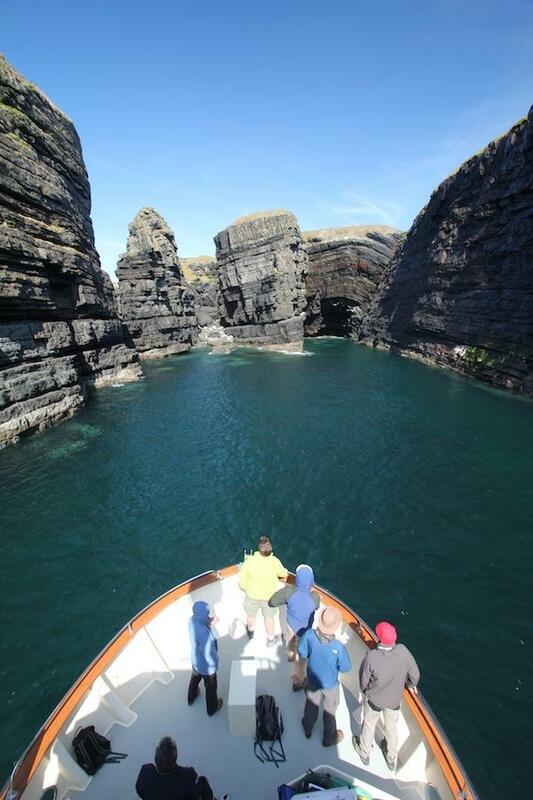 Some of the world's best examples of particular sedimentary features can be clearly seen on our boat trip. 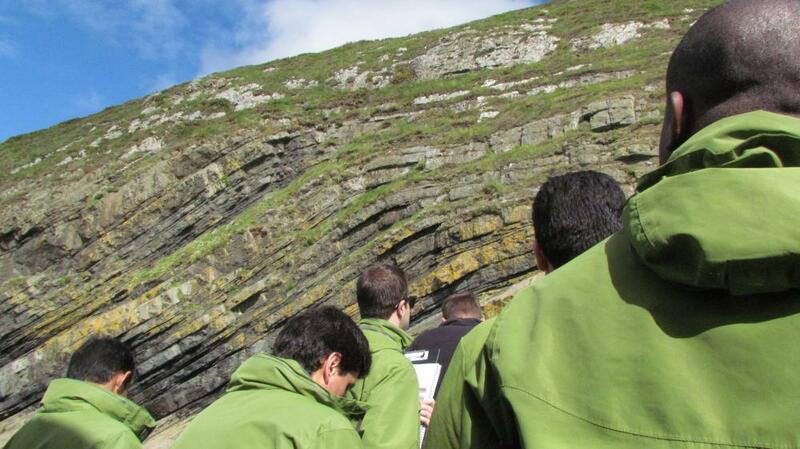 Subsequent movements of the earth’s plates during the Variscan Orogeny folded and tilted some of the rock producing naturally formed architecture of awe-inspiring proportions. 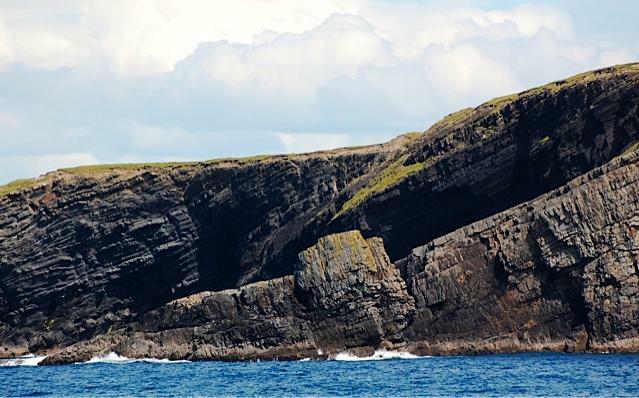 On the North Kerry coastline on the south side of the Mouth of the Shannon, outcrops of Carboniferous Limestone are overlain by well-exposed deep water shales of the Clare Shale Formation, which are in turn overlain by the Ross Turbidites. Professionally and knowledgeably skippered, you will get plenty of opportunities to sketch, photograph, teach and discuss the main features present at several localities. 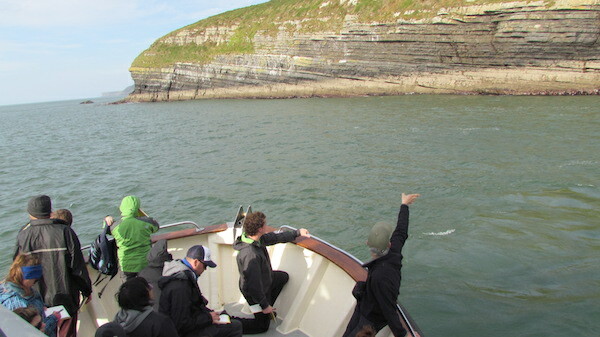 Although the majority of our trips are with industry and University level geologists, our trip can be tailoured to suit secondary school students with the added enticement of a dolphin encounter. Please contact us for group charter rates.